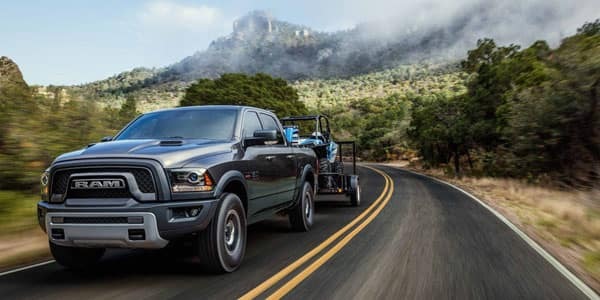 The 2018 Ram 2500 is a cut above the rest. This is a muscular looking pickup with attractively harsh lines. The chrome finishes just adds another layer of appeal for this magnificently designed vehicle. What sets this pickup apart is the large list of customizable features. 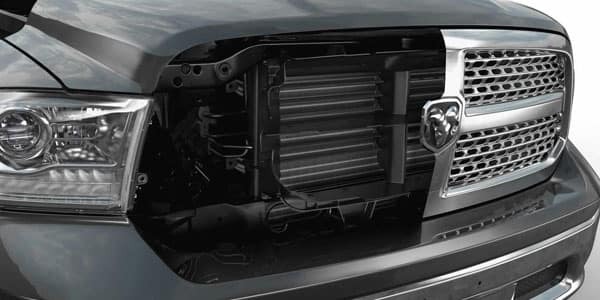 You can either upgrade your 2018 Ram for comfortability or for capabilities. Whatever you decide, the 2018 Ram is sure to impress you. Once you catch a glimpse the 2018 Ram 2500, you won’t be able to look away easily. The Ram remains true to its roots by continuing to make use of hard, cold steel for the body. They continue to go against the grain of an industry pushing for the use of aluminum. By making use of steel, the 2018 Ram 2500 will be able to incorporate more designs into the work of the body. Aluminum has been known to be much harder to keep sturdy and to manipulate. The tail lights of the 2500 Ram will also support a new design and alloy wheels to give it an added edge. Monochrome paint and a lot of chrome, adds to the appeal of the 2018 Ram. Storage units in the form of Ram Boxes, convert the side rails of the bed into storage bins which are lockable. On top of this, a camera is permanently pointed at the storage units allowing the passenger compartment to keep tabs on what is in the box. The 2018 Ram 2500 comes standard with a V-8, 5.7 liter engine. This behemoth of an engine pushes out 383 horsepower easily, and 400 pounds per foot of torque. An automatic 6-speed transmission is mated to the 5.7 liter engine. The engine is powerful enough to facilitate pick-ups and transport your passengers effortlessly. The interior of the 2018 Ram looks just as aesthetically pleasing as the exterior and has been designed for functionality. Don’t let that fool you though the interior of the 2500 Ram lives up to its luxurious standards. Six airbags come standard with the 2018 Ram 2500, as do anti-locking brakes and stability control. 2018 Ram 2500 also sees a rear-view camera as a standard feature. The seats are quite comfortable. They are supportive and firm, and come with a wide range of adjustment capabilities. The upholstery options are vast and range from leather to vinyl. The overall interior space is rather roomy and can seat 5 people comfortably and can squeeze in 6. You have the additional options of a heated wheel and front seats. The Infotainment system can be upgraded to an 8.4-inch screen and comes with navigation, or without. 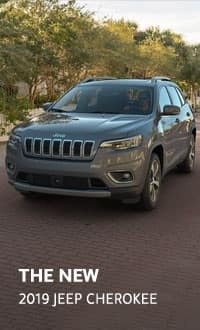 There are also the options of adding on Android Auto and Apple CarPlay. An added benefit of owning such a monster of a vehicle is its towing capabilities. 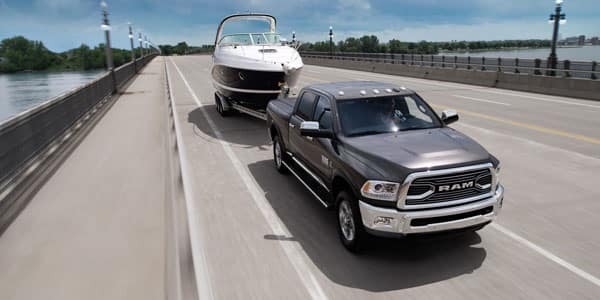 Thanks to its powerful engine, the 2500 Ram makes towing or hauling feel like a breeze. 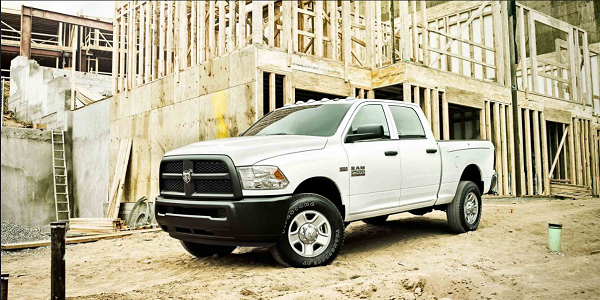 The 2500 Ram can be ordered in either a rear-wheel or four-wheel drive. The pickup is just as brutally forceful off the road, as it is on it. The quick tapping of a single button locks up the differentials out back and also up front. A front sway-bar can also just as easily be disconnected by tapping the same button. The rear suspension is coil-sprung and adds to the comfortable drive of the Ram. It is multifunctional in that the suspension can easily be lowered or made higher, depending on your needs. The steering wheel, which is hydraulically boosted, keeps the 2500 Ram tracking straight when driving on the highway. The capabilities of the pickup tied together with its pleasing good looks make it a great purchase. 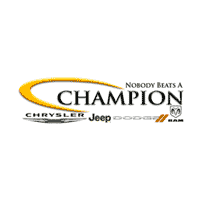 We believe in one thing above all else, Champion levels of customer service. Come on down and give us a try and you will never regret making a deal with us. 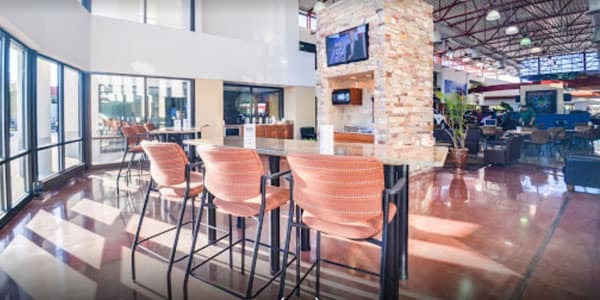 Come for a test drive today!